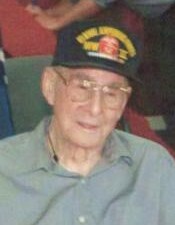 Central Bridge – Donald Diamond, Sr., 92, of Enders Avenue, died May 22, 2018 at Cobleskill Regional Hospital. Donald was born on May 8, 1926 in West Middleburgh to Marjorie (Rivenburgh) and George Diamond. 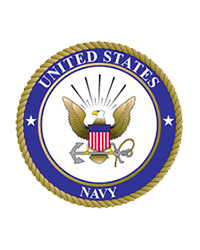 Proud to enlist at the age 17, Donald served in the United States Navy from 1943 to 1946. He drove the LCVP and spent time in Normandy, South France, the Philippines and Okinawa. He was honored to finally receive his medals many years later, along with a Congressional Coin from Congressman Chris Gibson in 2016 and his High School Diploma in 2007. He was a lifelong member of the American Legion, first in the former Schoharie Post and now the Timothy Murphy Post #248 in Middleburgh. Donald was very active coaching Little League in his younger years and could often be found doing yard work, watching birds, out seeing the sights or doing his woodworking. He was a devoted family man and loved attending Sunday dinners at his daughter’s house with the family. A jokester at heart, Don could always liven conversations and the atmosphere around him and his loving smile shone brightest recently at his surprise 92nd Birthday party. Donald was predeceased by his wife: Eleanor Diamond; daughter and son-in-law: Sheldonna and Timothy Pasieka; his beloved dog: Snuggles, along with his siblings: Leona, Adabelle, Wanda, Shirley, Nancy, Carol, Patricia, Sandy, Robert “Benny”, Ted, and Wayne “Ike”. Donald’s family includes his children: Judy (Dave) Ellis of Middleburgh and Donald (Amabelle) Diamond, Jr. of Kirkland, WA; grandchildren: David Ellis, Michael (Kathleen) Ellis, Tiffany (John) Davis, Danielle (Michael) Jobe, Bryan Pasieka, Adam (Joy) Pasieka, Amanda (John) Cogdon; great-grandchildren: Emily and Maggie Ellis, Meghan, Kiley, and Thomas Ellis, Calvin, Kaleb and Lily Davis, Amelia Jobe, Jayden Pasieka, Adison and Aidan Pasieka, Abby, Josie, and Jase Cogdon; dear friends and neighbors: Charles (Jeannette) Cornwell; many nieces and nephews including Kelly Diamond, along with a multitude of friends. A funeral service will be held at 1PM on Wednesday, May 30, 2018 at Coltrain Funeral Home, LLC, 134 River Street, Middleburgh, with Father Donahue officiating. Burial with Military Honors will follow in the Middleburgh Cemetery. All are invited to visit with Donald’s family on Wednesday from 12-1PM prior to the service. Memorial contributions in Donald’s memory may be made to the Central Bridge Fire Department and Rescue Squad, 137 S. Main St. Central Bridge, NY 12035 or the Timothy Murphy Post # 248 American Legion, PO Box 1069 Middleburgh, NY 12122.